Summer means fun in the sun! Swimming, adventuring in the bush, galloping down the beach, bush camping… absolutely beautiful times! But this means a lot of slip, slop, slapping for us humans. We don’t call this a sunburnt country for nothing. But what about our loveable canine mates? Sun safety isn’t just for people. Read on to find out more about protecting your dog from those harsh ultraviolet rays and the risks involved. Can dogs get skin cancer? Unfortunately, yes. But our dogs are covered with protective fur! How does this happen? Well only about 10% of skin cancers occur in the furry bits of dogs. Dogs’ noses, paw pads and underbellies are vulnerable to sun exposure, and dogs with short coats and light skin are definitely at a higher risk. Not all skin cancers in dogs are caused by sun exposure, but in my book it’s just not worth the risk. These cancers can be fatal if untreated, so be sure to have your vet give your fur baby a check if you ever find any suspicious skin growths. If your dog is on medications or is undergoing chemotherapy or other treatments take special caution. If your dog is experiencing hair loss for any reason keep your dog’s sun exposure to a minimum. Some dogs are full out sun worshippers, loving nothing more than sprawling belly up to soak up those rays. 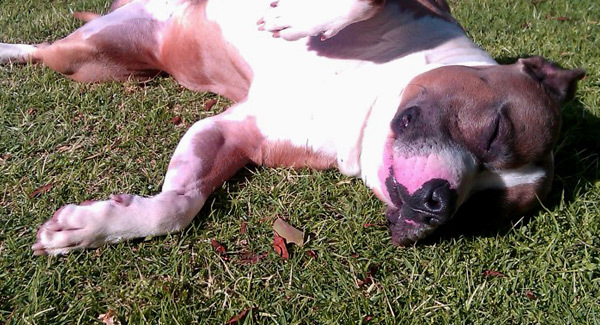 While it’s a good idea to discourage too much naked sunbathing in your dog, even if you’ve got a canine with a serious sun addiction on your hands there are still plenty of things you can do to lower your dog’s risks. 1. Keep your dog’s locks long enough during summer. An obvious thing to keep in mind is to avoid short haircuts and shaving during the summer months. Yes, it’s a tough call. Think of how much cooler your dog would be without all that fluff and of how much easier summer bathing will be after beach runs and bush mud baths. But don’t forget the fur is your dog’s protective sun cover. I know my Pluto’s been clipped a bit too close during summer months and a few times her skin was visibly pinked underneath from the sun. Not cool Zoe! 2. Get some slip slop slap happening for your furry mate. Aniwell Filta Clear Sunscreen is a totally clear, protective sunblock cream for dogs with a bitter taste to stop your dog from licking it off. Perfect for animals with zinc allergies, FiltaClear does not contain any Zinc oxide. Microfine Titanium dioxide creates a complete sun block (reflecting UVA/UVB rays) even when just a very light coat of FiltaClear is present. Doggles Pet Sun Screen is an SPF 15 that’s non-toxic to dogs. It comes in a spray bottle for easy application. The unique Doggles formula is non-oily, non-irritating and it’s water soluble. You can just spray it right on your dog’s coat or skin. 3. 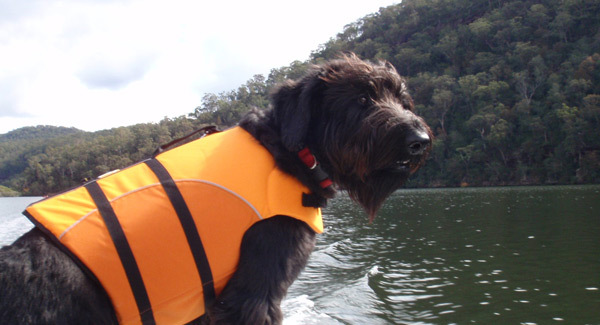 Canine Rashers can provide excellent UV protection for your dog as well. If you have a lighter dog with lighter skin a rasher is definitely worth considering. The rashers cover & protect a large surface area on your dog… including a lot of the vulnerable underbelly. 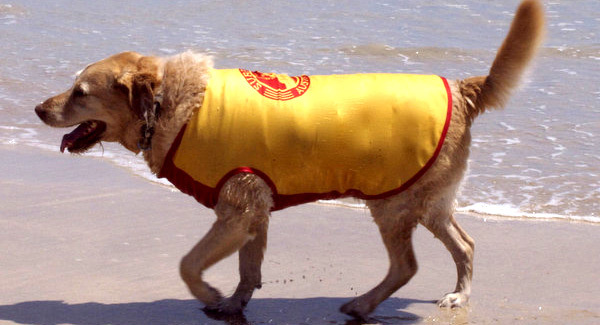 An added plus is that the rasher will help keep your dog’s coat sand free if your furry mate’s a beach bunny. That means less sand EVERYWHERE for you.The SurfDog Canine Rashers we have at Waggle are in traditional Aussie Surf Life Saving colours too, which makes your dog easy to spot while out frolicking out in the surf. 4. Eye protection is something to think about as well. Research has proven that UV Rays aren’t easy on your dog’s eyes either. Prolonged exposure can lead to eye disease down the track. Some dogs just have really sensitive eyes. And dogs who suffer from Pannus should definitely wear eye protection in the sun. If your dog requires eye protection have a look at our Doggles Dog Goggles. No, they’re not for swimming although they look like they well might do the trick for underwater wear. They are the canine equivalent to sun glasses. 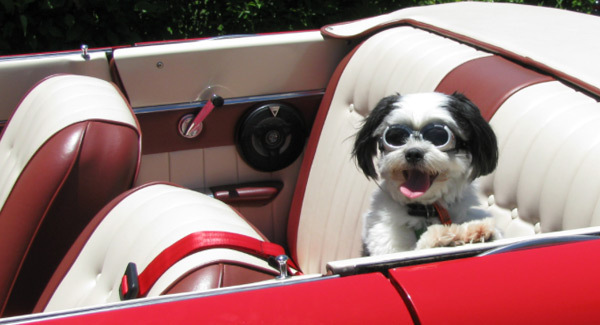 Doggles provide 100% UV absorption and also protect your dogs eyes from wind and debris. Did I mention that they are adorable as well? What are my dog’s risks? Dog are most prone to carcinomas between 6 and 10 years old. If you have a black dog your chances of malignant cancers in the toe or toenail bed are more frequent. Lighter skinned short haired dogs have elevated risks. Common breeds to suffer from some form of skin cancer are Vislas, Schnauzers, Doberman Pinschers, Airedale Terriers, Bay Retrievers, Keeshonds, Basset Hounds, Collies, Dalmatians, Bull Terriers, Beagles, Boxers, Boston Terriers, and Labrador Retrievers. Please take care in the sun with your furry mates! Have fun in the sun this summer! But don’t forget to keep sun safety a priority and check your dogs skin over regularly. And consider some form of sun protection for all members of your beloved pack. For more information on skin cancers in dogs have a look at this informative article on pets.webmd.com. February 20, 2013 | Filed under Canine Health. One Response to Dogs Need Sun Protection too! Fur alone isn’t enough. Sasha is looking good in her sunglasses.